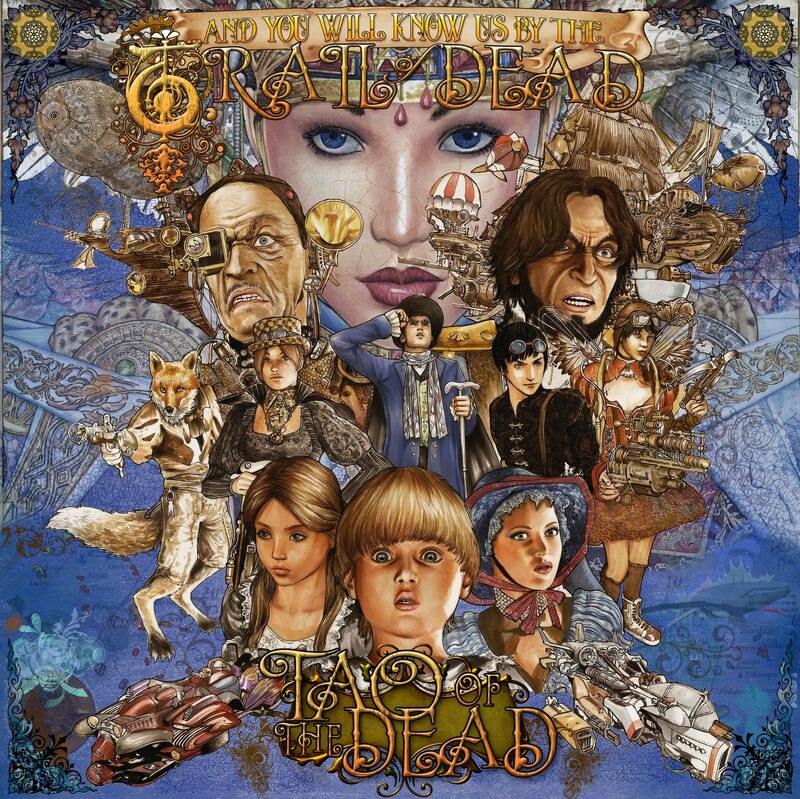 Atlas and the Anchor: ...And You Will Know Us By The Trail Of Dead - "Tao Of The Dead"
…And You Will Know Us By The Trail Of Dead return with their seventh album Tao Of The Dead, released today on their own Richter Scale Records imprint through Superball Music. Ever ambitious, Conrad and Co. buck the digital age with an epic record meant to be listened to from start to finish as the 12 track record is split into two parts and only two tracks; the first consisting of 11 songs clocking in at almost 36 minutes, while the second, a five-part opus clocks in at 16 and a half minutes. So much for your “shuffle” button, huh? The album opens with the instrumental “Introduction: Let’s Experiment” that builds until crashing into the pounding, power chord-heavy “Pure Radio Cosplay” with a punk meets classic rock feel that captures the spirit of their earliest releases. “Summer Of All Dead Souls” follows with some cosmic swirling synths and Rush-like riffage and a shout-along gang chorus for a standout moment. “Cover The Days Like A Tidal Wave” opens with strummed guitars and a spoken word-verse before building and exploding with a cascade of synths and distortion for an arena-sized chorus circa 1991. Other standouts from the first part of the record are “The Wasteland” with its soft/loud dynamic and psychedelic paranoia and “Spiral Jetty”, a strange little interlude-like track with plinking piano and unhinged guitar noodling. “Pure Radio Cosplay” is even reprised near the end of the first part of the record with an even larger wall of sound. The band’s more atmospheric tendencies and theatrical outbursts are reserved for the second part and track of the album, which even has a subtitle: “Strange News From Another Planet”. With Tao Of The Dead being split into just two tracks, it’s almost like having a full-length album and an EP for the price of one. So forget your iPod, buy this on vinyl and listen to this album as it was meant to be heard. You will not regret it as Tao Of The Dead marks a return to form from Trail Of Dead for their best album in years!